Nokia is one of the most important Network Equipments Vendors. After investing in Alcatel-Lucent, Nokia become a very important point in computer network product world. Many Service Providers and Enterprises use Nokia Routers, switches and other equipments in the world. The capacity, productivity and design of Nokia Network Equipments, make them popular all over the world. 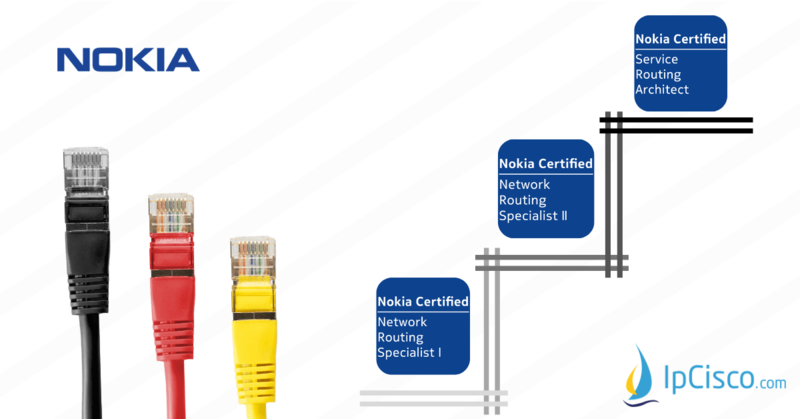 Formerly Alcatel-Lucent, now Nokia offers perfect Certification Paths for Network Engineers. From the beginning to the end of the certification track, network engineers learn detailed architecture of Service Provider Networks and related technologies. 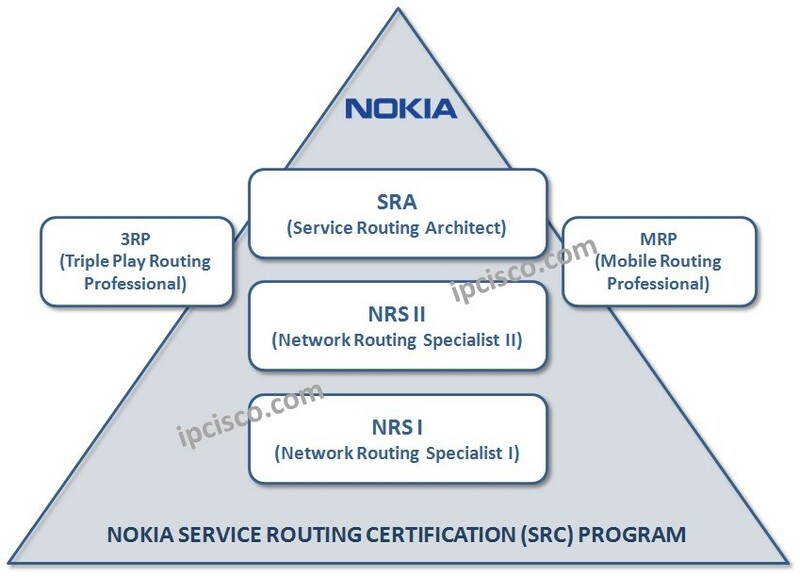 Here, as a Certification Path, Nokia has Service Routing Certification (SRC) Program. Nokia’s Service Routing Certification (SRC) Program offers Five Certifications with various trainings and exams. What are the Certifications of Nokia SRC Program? The most prestigious Certificaion of Nokia is SRA. The common way is beginning from NRS I, continue with NRS II and lastly become an SRA. This is the common path for a Network Engineer who want to be a Nokia Service Router Expert. 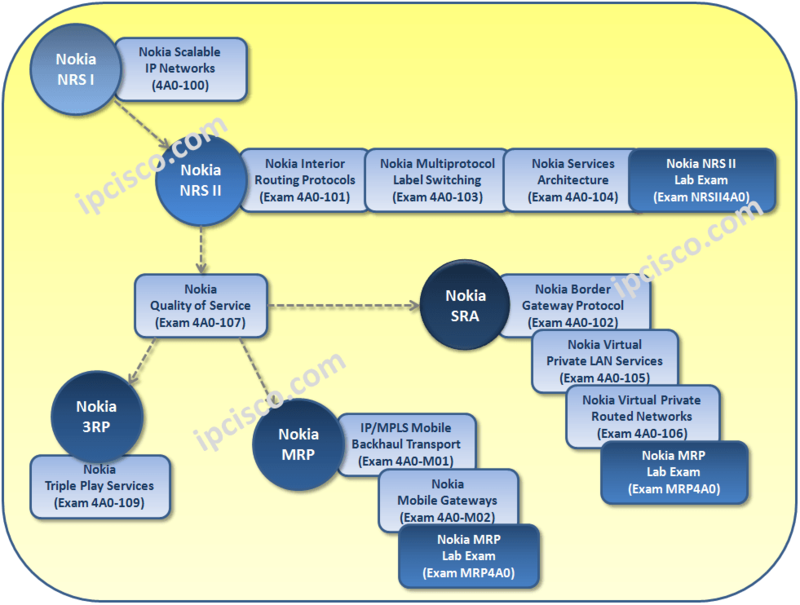 Below, you can find the Paths of Nokia SRC Program’s Five Certifications. Hey Buddy!, I found this information for you: "Nokia SRC Program". Here is the website link: https://ipcisco.com/nokia-src-program/. Thank you.